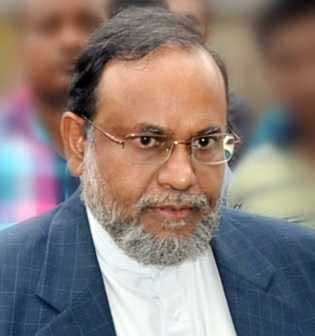 Mir Quasem Ali serves as the de facto treasurer of Jamaat-e-Islami (JEI or simply “Jamaat”), the Islamist political party in Bangladesh with close ties to the Muslim Brotherhood and militant causes. He has served for nearly 40 years as Saudi Arabia’s money man in Bangladesh, being involved major Wahhabi-backed institutions since the 1970s. Mir Quasem Ali (also often spelled Mir Kashem Ali) is in jail at the moment for war crimes he and his Al-Badr group committed during Bangladesh’s struggle for independence in 1971, but he is still sometimes touted as the party’s next leader. …IBBL provides JEI an opportunity to launder money from abroad and also channel un-audited funds to various militant groups in the country and abroad. Islamic Bank Foundation (IBF), a JEI floated organization oversees all the projects of IBBL and profits generated by it and the interest / commission accrued on foreign donations goes to the IBBL account of IBF. Money Jihad readers will recall that Bangladeshi authorities say that IBBL has diverted 8 percent of its corporate zakat to terrorists. The U.S. Senate also blasted HSBC last year for its banking relationships with IBBL. In his role as country director for the Saudi-backed Muslim World League’s branch in Bangladesh—Rabeta-al-Alam-al-Islami Bangladesh—Mir Quasem Ali collected funds for local militants, Rohingya fighters from Burma, and Afghan mujahideen, which Money Jihad blogged about in 2011. Mir Quasem Ali also sits on the board of the Saudi-funded Ibn Sina Trust, whose website describes his position with the trust and his previous positions with Rabeta-al-Alam-al-Islami and IBBL without referring to his current status in jail. With the Bangladesh government cracking the whip on shoddy players in the financial sector, the riches of Jamaat-e-Islami (JeI) have started attracting media attention. Authorities believe JeI is using its vast network for money laundering and financing terrorist outfits besides penetrating into the lower middle class and the poor. The brain behind JEI’s financial and Business Empire is Mir Kasem Ali. And he is one of the founders of the infamous Al Badr militia which was directly involved in the killing spree the country witnessed at the time of its birth in 1971. Ali was jailed after Bangladesh became an independent country. He came out under a general amnesty declared by Sheikh Mujib-ur-Rahman in 1974. How Ali managed to spread the JeI net is not clear but according to Bangladesh Economic Association estimates, JeI foot print is visible in a wide spread area. It has its presence in the financial, transport, health and education sectors. JeI is also active in the sphere of non-governmental agencies (NGOs). One estimate, that is not updated since 2005, shows that the JeI generates a net profit of Tk 1200 Crore annually. While earnings from internal resources are said to be higher than income from its overseas assets, most of the leading institutions generating this fund are closely connected with organizations and individuals based in West Asia and Gulf. The Islami Bank of Bangladesh which ranks among the top three banks of South Asia is floated from Saudi Arabia. It is associated with the Al Razee Bank of Saudi Arabia. Islami Bank of Bangladesh was started in 1975 at the initiative of the then Saudi Ambassador in Dhaka, Fuad Abdullah Al Khatib and his wife. Apart from Saudi Arabia, UAE, Kuwait, Qatar are also share holders of this bank though about 60% shares are owned by Saudi individuals and institutions. While the Islami Bank constitutes the backbone of JeI’s finances, it has 14 other banks in Bangladesh. It has recently entered into insurance business with Far Eastern Islamic Insurance Corporation. Its other arm in banking sector is Islamic Bank Foundation. The Saudi based Islamic NGO, Rabeta-al-Alam-al-Islami is also one of the important sources of JeI funding. Other NGOs funding the JeI include Kuwait Relief Fund and Al Nahiyan Trust of UAE. Their funding is channelised through JeI controlled financial and charity institutions. JeI has some 30 charities of various sizes and reach. Prominent amongst them is the Al Hera Samaj Kalyan FoundationJeI has some 30 charities of various sizes and reach. Prominent amongst them is the Al Hera Samaj Kalyan Foundation. Founded in 1982, it is mainly into preaching Islam, publication of religious books and journals, running madrasas, orphanages, charitable dispensaries, disbursing loans and assistance to the poor. It also distributes books on Islamic resurgence and scriptures free of cost and makes promises of a renaissance through Islam. The Foundation is also engaged in the lucrative manpower export to the Gulf and West Asia. JEI has around 30 such institutions. Presence in the banking sector enables Bangladesh’s Jamaat-e-Islami to facilitate money laundering and channel unaudited funds to other Islamic groups, which are within its grip. In fact, inquiries show that overseas funds to the militant organizations in Bangladesh are received mainly through JeI controlled Islamic financial institutions. Ahle Hadis Andolan Bangladesh (AHAB) chief Prof. Galib was one of the main conduits for receiving and distributing funds from abroad to other radical groups. Some of these groups also receive funds directly. The JeI owns a number of publishing houses, newspapers and a think-tank, the Center for Strategic and Peace Studies (CSPS). Its daily, Naya Diganta, which was established in 2005 with a corpus of Tk 100 Crore, is currently one of the largest circulated dailies with a print run of around 125000 copies. The Daily Sangram, JEI mouthpiece, is also one of the oldest dailies in Bangladesh. The outfit publishes magazines for youth, like Youth Voice, booklets and Islamic literature. JeI backed publishers include Adhunik Prokashoni, and Shatabdi Prokashoni. The JeI has made inroads into the education sector. The Islamic Training Centers which impart low level technical skills such as electronic repairs are car repairs are important instruments of its propaganda machine. The Darul Islam Coaching Centers have their footprint in all the 64-districts. Education in these centers lays stress on technical skills which provide employment to the youth. Presence in the banking sector enables Bangladesh’s Jamaat-e-Islami to facilitate money laundering and channel unaudited funds to other Islamic groups, which are within its grip. Over time, the Darul Islams have emerged as key players in strengthening JEI’s network among the student community in a planned manner apart from generating huge finances for the party. JEI and its fronts have sponsored some private universities. One of them is the very popular International Islamic University in Chittagong. It was established with financial assistance from the Saudi based International Islamic Relief Organisation (IIRO). JeI has attracted attention as the Bangladesh authorities have felt that the country’s the financial sector needed to be scrutinized and monitored in view of terrorist funding and money laundering concerns. Saudi Arabia has denied that it has attempted to pressure Dhaka. However, one recently convicted war criminal, Abdul Quader Mollah (“Butcher of Mirpur”), received a life sentence rather than the death penalty, sparking massive protests by demonstrators in Shahbag seeking justice for war crimes. Money talks. Good write-up, Syed Atheist. Even if some Shahbag demonstrators are “militant atheists,” so what? They’re protesting against war crimes. They’re protesting against terrorist gangsters taking over the government. Christian, atheist, moderate Muslims, et al–bravo to any of them who will stand up against Jamaat! @syed atheist:::::Normally i dont have a problem with atheist people.But bangladeshi atheist are more like american atheist, all you are doing is spreading hate in this society which is no different to what jamayat is doing.You are the reason why jamayat found another excuse to create a massacre in bd.You guys treat atheism like a tool to insult other people.So i guess the main problem is that you and jamayat lack moral.Both of you are violent ideologically.I read some atheist blog post,i was really dissapointed to see the disgusting language which was just as deluded as jamayat posts.Ya ya i know what you are gonna say now.So let me answer this in advance.Atheist are tooo damn small in population to carry out violence like jamayat and that is exactly why you guys arent taking violent actions like jamayat, otherwise i had no doubt that you people would.Piece of advice for you, have some respect for other people.If you spread hate then you should be punished as well and ofcourse spreading violence in any way is against our constitution.So i guess you guys did nothing different than jamayat in terms of teaching deluded and violent preaching.Jamayat and atheist fighting are like two devils fighthing each other.Both of you need to be wiped of atleast socially if peace is what people seek.Be more like japanese atheist.They know how to respect and spread peace unlike you and jamayat.Pls bhai bhalo hoye jan.Dont fuel violence.My livelyhood depends on sagols like you and jamayat.Whats funny is that a little number of gadhas can do so much to a country. @admin:::: the solution to can only be proper education on nationalism,patriotism and compulsory social education.Monitoring madrasas is vital too.Just write a blog on this and get these facts on important peoples attention.